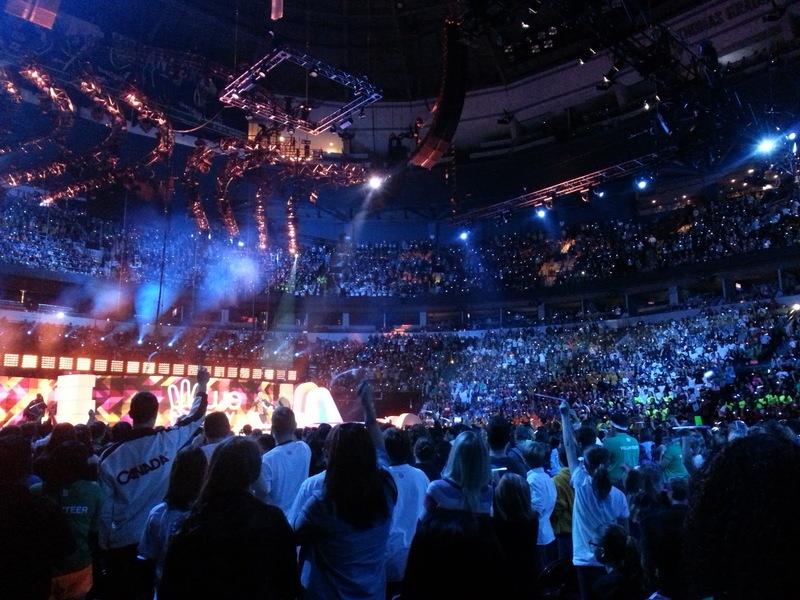 Free The Children's We Day Vancouver! When given the chance, there are some things in life you should always do; attending Free The Children's We Day is certainly one of them. It's not just a concert. It's not just a speaker's series. It's 18,000+ enthusiastic, loud, and inspiring teens filling Roger's Arena to be entertained and motivated by some of today's biggest celebrities…. all with a greater purpose. These youth want to change the world. 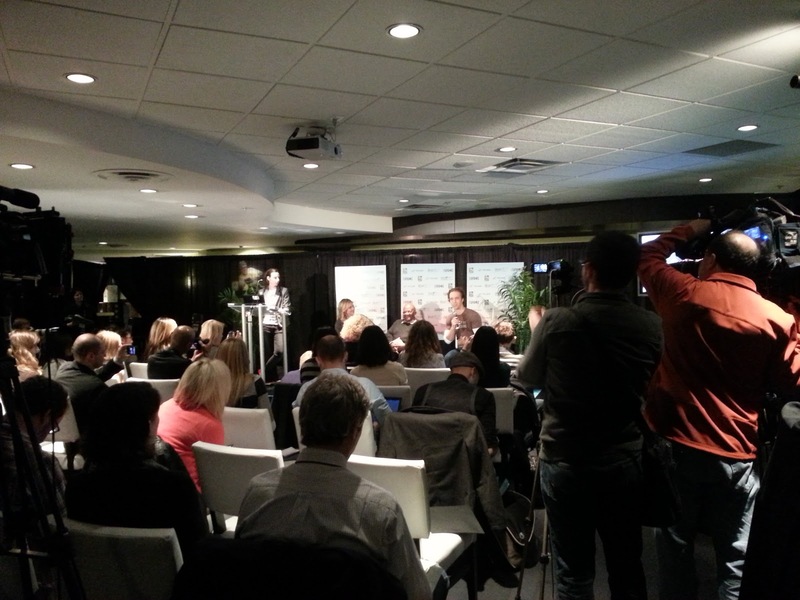 The day saw mega-star musical guests Demi Lovato, Cody Simpson, One Republic, Shawn Desman, and This Is Kay all take the stage to massive cheers. 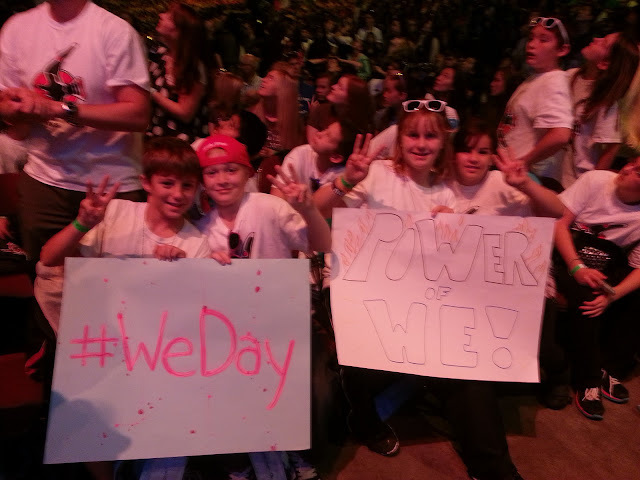 But the young audience members in attendance were as passionately loud about the inspirational messages that came from Holly Branson (daughter of Virgin mogel Richard Branson), Desmond Tutu, Spencer West, Marc and Craig Kielburger, Magic Johnson, and the rest of the We Day guest speakers. Well…. nearly. Demi Lovato was the clear 'winner' of the day. For those unfamiliar with Free The Children, we highly recommend checking out this organization which is doing incredible work overseas and worthy of everyone's support. Founded in 1995 by international activist Craig Kielburger, Free The Children believes in a world where young people are free to achieve their fullest potential, and empowers youth to remove barriers that prevent them from being active local and global citizens. 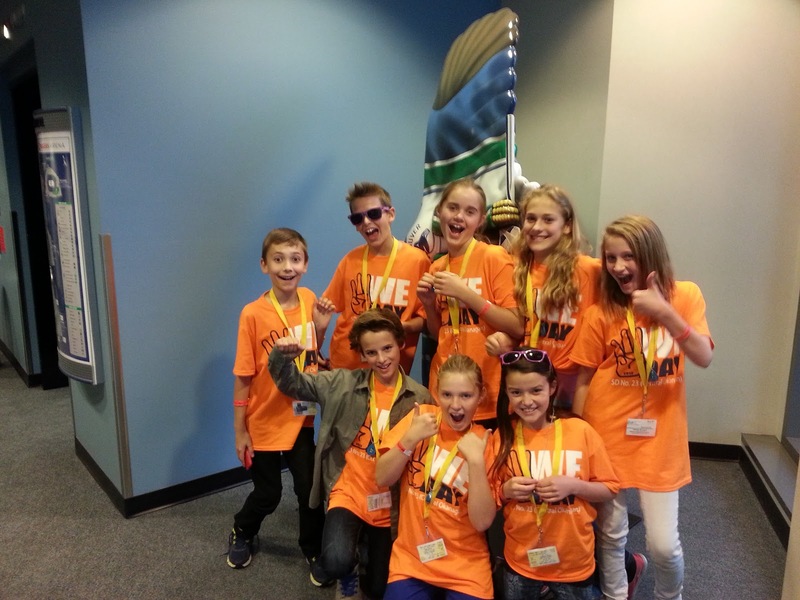 In the past year alone (Sept. 2011 - June 2012) youth involved in the organization's year long program have raised over $6 million dollars and contributed 1.7 million volunteer hours. 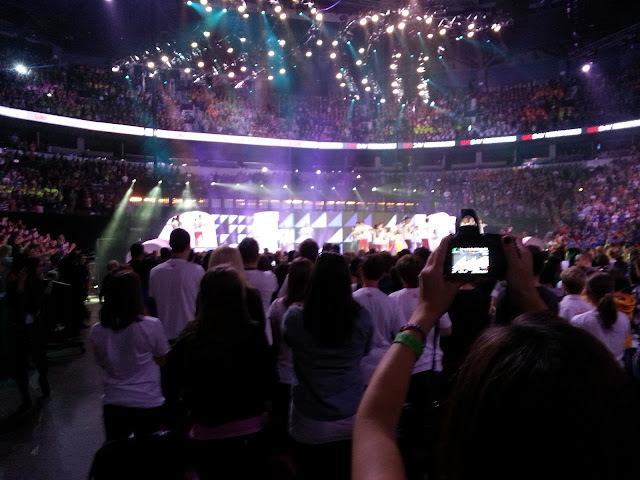 It's clear that the youth attending We Day want to change the world… and are doing it. 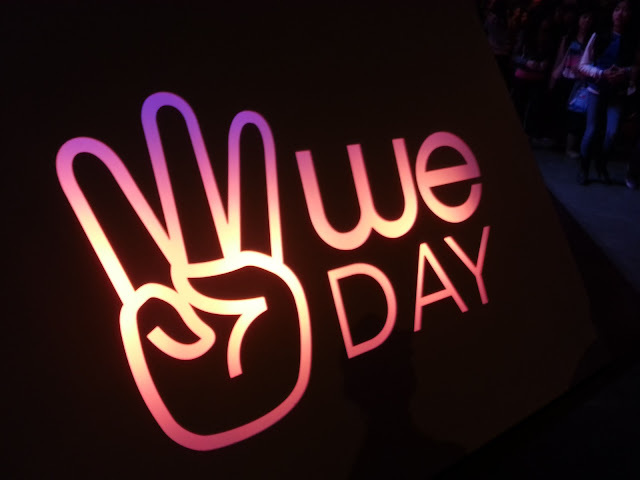 A massive thank you to Telus for not only partnering with We Day events across the country, but also providing us with a sleek Samsung Galaxxy S III to document the day here in Vancouver. Make sure to check out the special Telus We Day contests and campaigns such as their Phones For Good program and find out how you can join the cause. 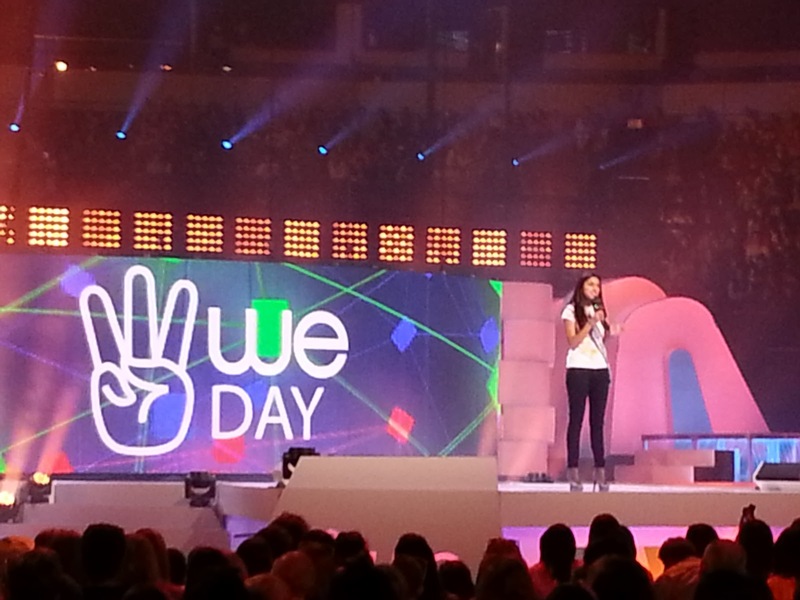 The next We Day event will be held October 24 in Calgary, Alberta, and will stream live on Much Music. 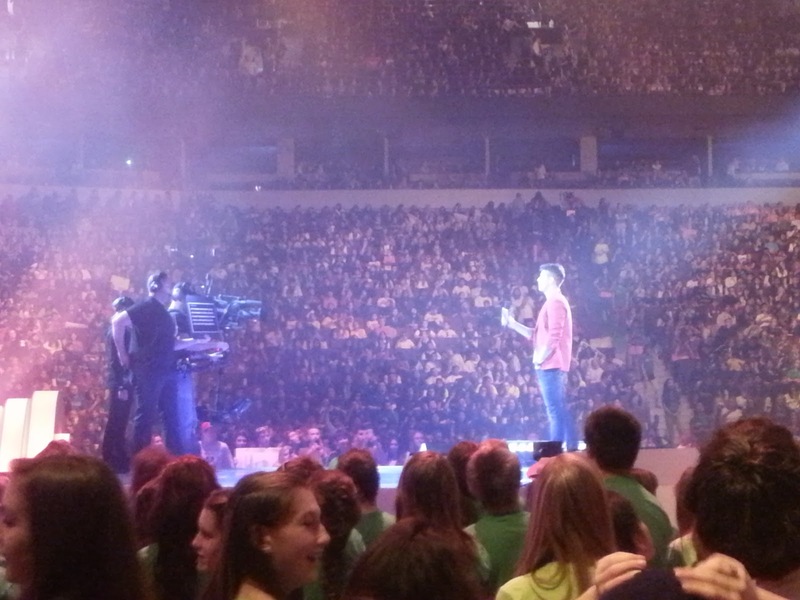 It was awesome to have one of our project's supporters send us this photo taken on the way home from We Day. So great to see that our Vancouver, we love you tank was there in middle of all the action!